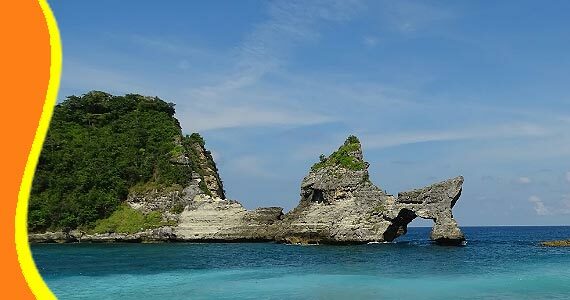 A hidden beach in Nusa Penida Island Bali and unique beach to visit. 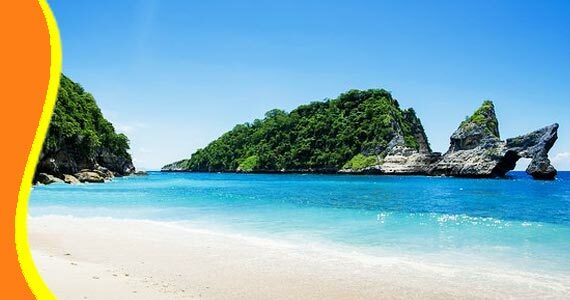 To go to Atuh Beach Nusa Penida, from Bali island, you need to get a fast boat to Nusa Penida Island first, before heading to this beach. Atuh beach began to be known and increasingly crowded visited. The beach with its pure natural environment is perfect for you to refreshing your mind. Atuh Beach Bali has a clean white sand beach and beautiful and charming surroundings. The shape of the beach is unique and very different, with several other beaches in Bali. There are two small islands in front of the beach called Batu Abah. And this island with is look like a High heel Shoe from distance. Thats way, visitor called this rock island by name of High heels Stone. If seen, the stone looks almost like a High Heeled Shoes. What an amazing natural charm. The stone looks almost like a high heeled shoes. What an amazing natural charm of Atuh Beach. 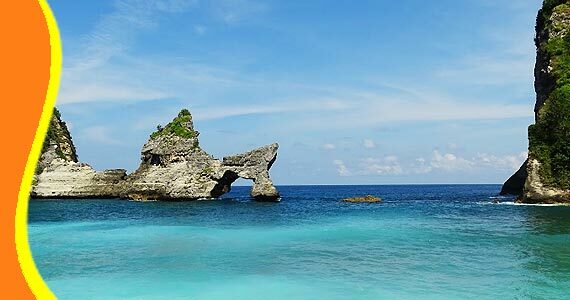 Atuh Beach Bali (Pantai Atuh Nusa Penida Bali) will look beautiful when its low tide, will making the beauty of coral reefs and small fish seen on the beach. You will be amaze to this beach during a morning time. 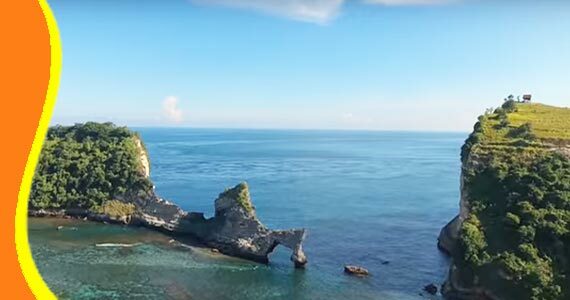 Due to, Atuh beach located in East part of Nusa Penida Island. Come earlier in the morning, to catch a perfect sunrise. There is only one way to get to Atuh Beach from your car park or from Atuh Cliff. A path that takes an extra energy to get down to the Beach and back. The perfect time to visit Atuh beach is during the summer. Atuh beach located in the Pejukutan Village. The scenery is very beautiful and unspoiled along the way. Panorama of Atuh beach from the sky. 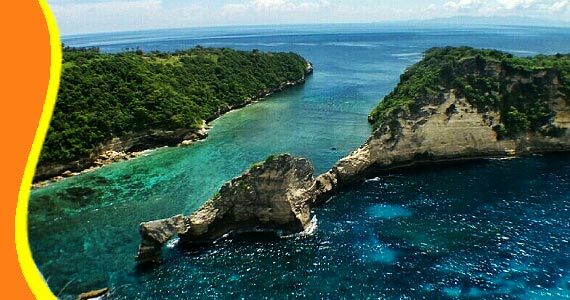 To reach this tourist attraction in Nusa Penida, it will takes about 60 minutes driving from the harbor. You will be greeted with an amazing view of hills and the blue sea. At Atuh Beach, you can also watch the Ceremony held within a full day by performing dances such as Baris Jangkang Pelilit Dancing (Tari Baris Jangkang Pelilit), once in a year. A mass dance, which is so sacred. And only available in Nusa Penida Island. What a amazing view from Atuh Beach. Call & Text Messaging (Chat, Google+, Line, Whatsapp or SMS) our customer services team on the number above, to speak to one of our Bali - Indonesia tripadvisor who will help you with all of your holiday needs. 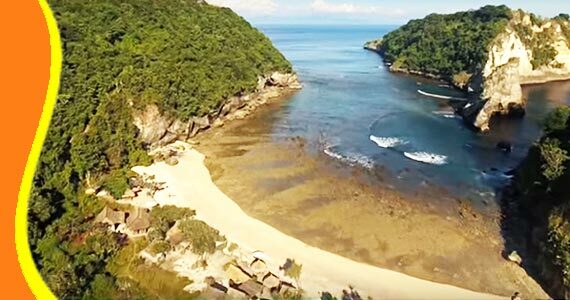 For further information about Atuh Beach Nusa Penida, Beach in Nusa Penida, Trip to Nusa Penida, Pantai Atuh. Get a Bali Transport from your stay (Resort or Hotel). You can contact us if you need transport or fast boat to go to Atuh Beach Nusa Penida. Atuh Beach can be combined and implemented in conjunction with other activities Trip or Tour in the same direction. “Beautiful panorama of Atuh beach (Bendri - Australia)"